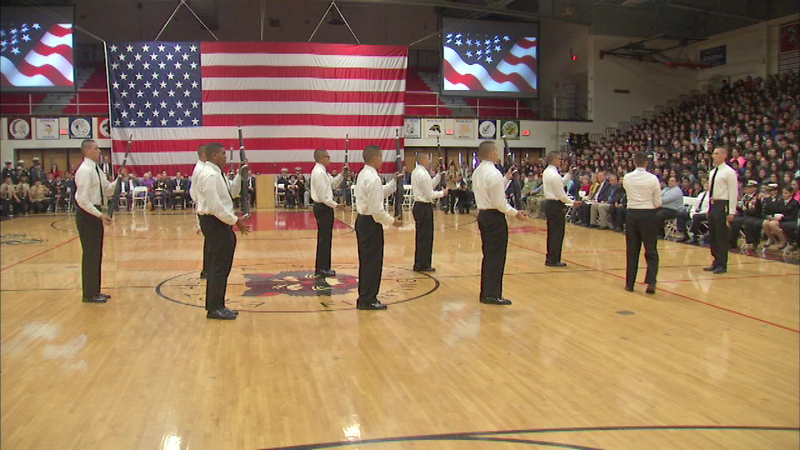 AURORA, Ill. (WLS) -- East Aurora High School held a Salute to Veterans ceremony attended by the families of four fallen servicemen and women, who came together to honor their memory. The assembly paid tribute to those who served in the U.S. Military. The school presented flags to the families of four graduates who were killed in the line of duty. The family of Walter Treumper, the only east aurora graduate to earn the Medal of Honor, was also recognized today.